Recorded live in the valley of Bridgewater. 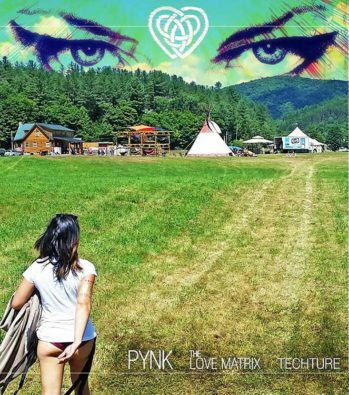 PYNK | The Love Matrix. Here’s my set from Friday late afternoon at PYNK, The Love Matrix. It was an honor to be invited for the opening spot, allowing me a chance to open up the space for what would be one of the most beautiful and memorable weekends of my life. Supreme gratitude and thanks to all who helped make this event such a special one. This mix is a patient journey over the grass, around the fire, across the river and up the mountainside. I dedicate it to all the star gazers, lovers, music makers and dreamers of dreams.